Our Atlanta bail bond professionals with Anytime Bail Bonding, Inc. are standing by to help get you released from jail fast! 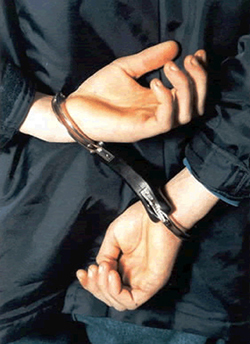 If your loved one has been arrested, the sooner you contact us the sooner we can get to work on their release. Call our Atlanta bail bonds experts at (404) 745-9929. or visit our office at 107 Peachtree Street, S.W., Atlanta, GA 30303 and we’ll answer any questions you have about the bail bonds process in Atlanta and get started on your case as soon as possible. Anytime Bail Bonding, Inc. can assist you or your loved one to get released from jail in an efficient manner. The sooner you call, the sooner you or your loved one gets released. Bail bond amounts in Atlanta will vary depending on the criminal charge. We will charge a non-refundable fee (12 to 15 percent of the total bail amount), which may include additional fees, to assist with this process. This is a more affordable option than having to pay the full amount of the bond to the court. We understand the urgency of getting out of jail quickly. If you call right away, we can start to work on your case. Our Atlanta bail bonds professionals with Anytime Bail Bonding, Inc. handle all types of bail bonds, both large and small. We do traditional and immigration bonds as well. We can post your bail and have you out of jail in a few hours. If the bail amount is high, we can discuss our payment plan options. Collateral may also be secured depending on the amount of the bail: real estate is often taken as collateral but we can also accept stocks, bonds, jewelry or cars as well. This will be returned once the bail contract has been fulfilled. A third-party indemnitor may also be used to guarantee your Atlanta bail bond. Why Choose Our Bail Bonds Company? Anytime Bail Bonding, Inc. is proud to serve Fulton county residents and visitors. When you find yourself involved in the criminal justice system, call the Atlanta bail bonds experts at (404) 745-9919!